​Overall, despite a few gremlins here and there, the movement was looking fairly sound and a good deal of TLC would bring her back to working life. So a full strip down and cleaning was the order of the day. 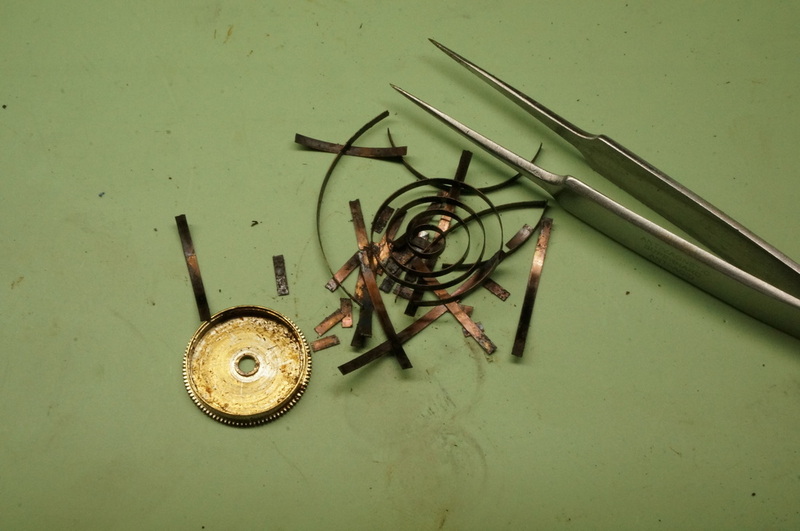 This would explain the mainspring winding issues, the watch ran for short periods with terrible timing, now we see why. I have seen mainsprings in various states but this poor thing had completely given up, time for a nice new replacement me thinks ! The customer had requested the dial to be re finished in white but before such a task i figured it wouldn't hurt to clean the original to see if the yellow colour was purely dirt. 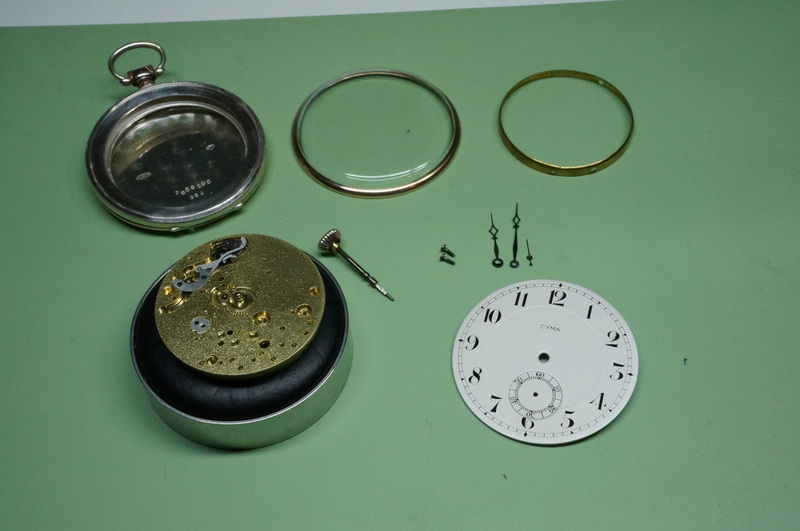 As you can see from the above two images the clean helped but sadly the yellow tint remained, so re finishing the dial it is. Dial re-finished in French Matte white with black Arabic numerals and original Cyma print. Without doubt a big difference and a much cleaner finish than the yellow tinted original. With the movement serviced, new glass fitted, and casing all cleaned up , she's all ready to go back together again and become adored again. Assembly is always a careful last inspection and often takes more time than most would think, ensuring everything is exactly as it should be. With the watch running smooth as butter and as clean as a whistle the timepiece is now finished and ready to go back home.